Our industrial food system has left our nation sick and hungry while harming the environment and failing to offer food workers fair conditions. The effects of our broken food system impact public health, the economy, and the environment. Nutrition: According to Feeding America, 1 in 6 Americans face hunger and the need is growing. Other diet-related health issues also affect Americans, while disproportionately threatening people of color. For example, 7% of white American adults have diabetes, compared to nearly 19% of African-American adults. Economic Justice: Working conditions within various parts of the food sector are among the worst in our economic system. For example, 70% of farmers workers earn under $20,000 per year and 90% of farmer workers earn under $30,000 per year. Environment sustainability: Many elements of our food system have an ecological impact. For example, up to ⅓ of climate change is estimated to be caused by the combined impact of the food production cycle. Over the last 10 years, the community cafe movement has started to spread a proven alternative that is creating a more just and sustainable system. To nurture this trend, Unity Tables provided management support and training to One World Everybody Eats’ growing network of 50+ pay-what-you-can community cafes. This innovative model is creating a world in which everybody has access to meet their nutritional needs and people from all walks of life connect with each other, eating food that is sustainably produced by fairly treated workers. Ariel Pliskin was inspired to create Unity Tables after participating in a street retreat. Eating in soup kitchens while living on the streets for days at a time, he found that service providers would often treat people with plenty of love, but not dignity. There was a strong sense of separation between those serving and those being served. Poverty and hunger is reinforced by a lack of relationships between people of different backgrounds. The genuine human relations at community cafes become a building block for the systemic change necessary to reduce hunger and poverty. Initiated by companies like Panera and individuals like Jon Bon Jovi over 50 new pay-what-you-can community cafés have popped up over the last 10 years. While soup kitchens often involve a sense of separation between those serving and the people served, Community Cafés build diverse community. Low-income guests dine and work side-by-side with paying customers. 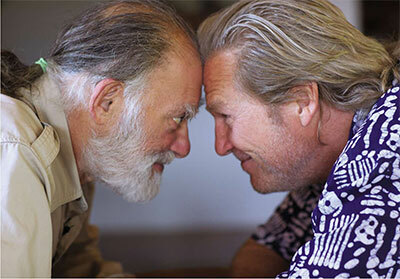 In 2010, actor Jeff Bridges partnered with Bernie Glassman’s Zen Peacemakers to infuse greater dignity into hunger relief. Through works like the Greyston Foundation and bearing witness retreats at Auschwitz and on the streets, the Zen Peacemakers are recognized as pioneers in socially engaged Buddhism and social enterprise. With their help, Ariel Pliskin established the first member of this network, the Stone Soup Café in Greenfield, MA in 2012. After that, Ariel lead the Unity Tables Incubator to support leaders in establishing new cafés around the United States. In 2017, Unity Tables expanded its work in addressing inequities in the food system by hosting the Land, Food and Race Bearing Witness Retreat at Soul Fire Farm in Petersburg, NY. Bringing together a diverse group of participants, the retreat relied on the bearing witness tradition of the Zen Peacemakers to explore racism and inequity in the food system through mindfulness, embodiment, and social action.